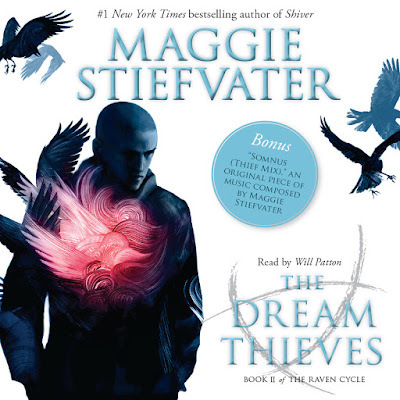 I'm listening to The Dream Thieves because I plan to finish the series but didn't love The Raven Boys (Book #1). I listen to books on audio for one of two reasons. 1) I'm afraid to completely invest myself and prefer to partake in a passive manner or 2) I start a series on audio and love it so much that I can't switch to reading it. The Raven Cycle Series falls into the former category. I know it isn't popular to not LOVE this series, but eh it is what it is. Only time will tell. What are you listening to? How do you choose what to listen to and what to read? Good luck, that narrator gives me nightmares. Haha. It's good to see you back Alexis! Hope you and your fam are well!